If you're looking for instructions on how to create multiple order forms, you've come to the right place. If you haven't created an order form before, visit our Order Form support article, which will go into more details on the process of creating an order form. 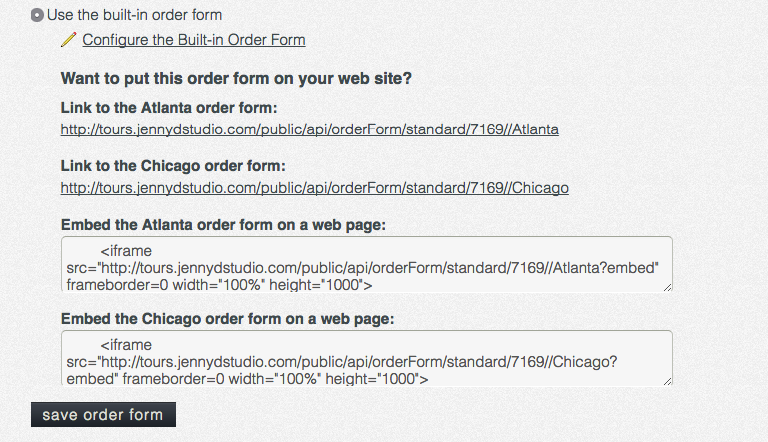 We've now added a simple process for creating multiple order forms. 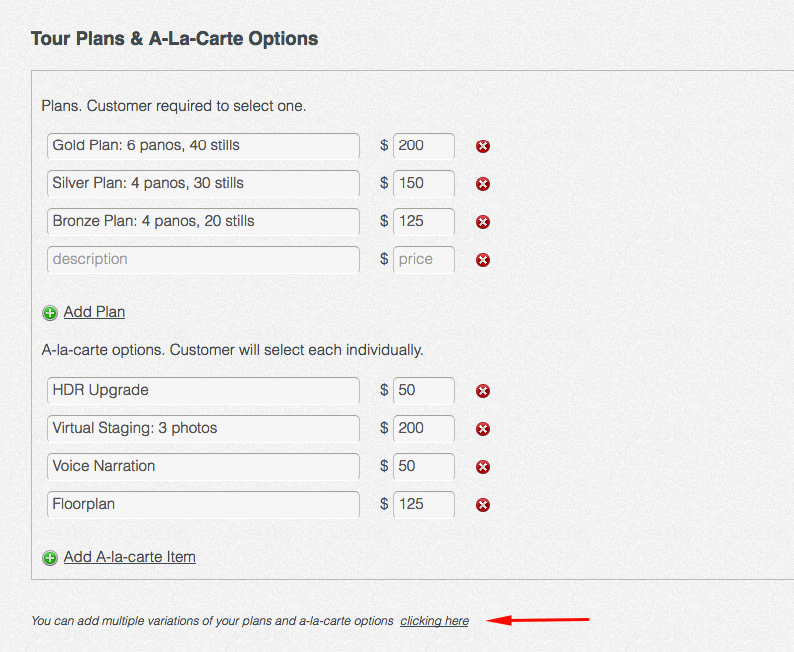 You can add as many "sets" as needed, by clicking "Add Custom Set" at the bottom of your list. Once you've completed all your sets, review your Licensing Terms*, Scheduling Instructions*, and Thank You Message* and click next. *This information will appear the same across all forms. Complete your Custom Fields as normal (these will appear across all forms as well) and click next to save your forms. 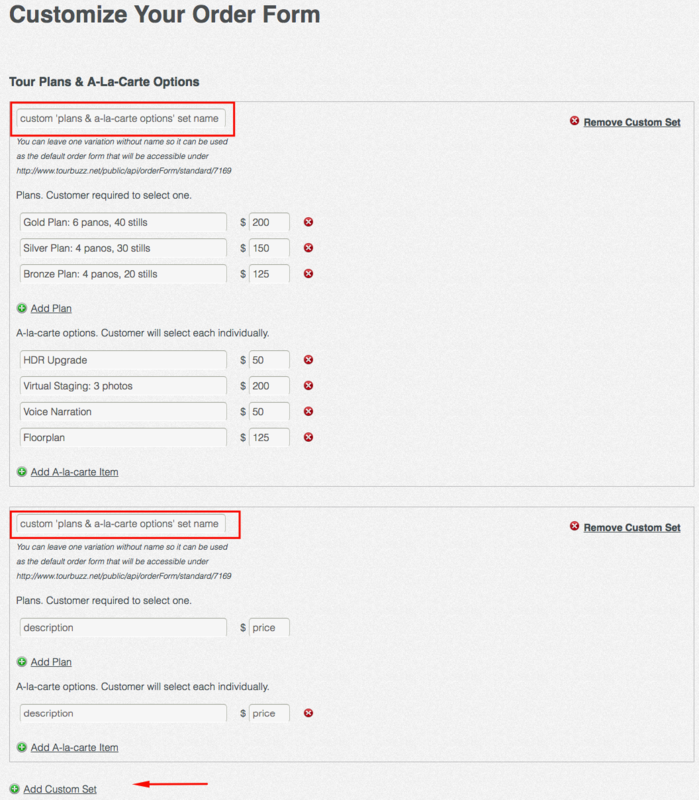 Upon saving, Tourbuzz will automatically create order form links and embed codes for each form. *You are not limited to the number of order forms you are able to create using this format.